Perfectha Complement is a dermal filler made of non-animal hyaluronic acid. Buy Perfectha Complement from PDCosmetics to help correct superficial depressions or fine lines, or to touch up other cosmetic treatments. The hyaluronic acid in Perfectha Complement comes from fermentation of biotechnologically-modified bacteria. Using E-brid technology to cross-link the hyaluronic acid particles, forming bonds between and within the particles, the manufacturer produces a hyaluronic acid gel with undetectable levels of BDDE, a cross-linking agent. 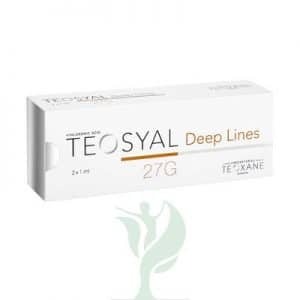 This dermal filler is suitable for correcting superficial skin depressions, fine lines, and other small facial imperfections, but it is also suitable for touching up the results of other cosmetic treatments like facial peels or botulinum toxins. 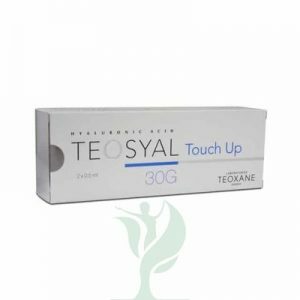 Each syringe contains small amounts of filler that can treat small areas or touch up the details on areas such around the eyes, on the cheeks, around the mouth, or on the forehead. To use Perfectha Complement, inject the filler gel into the superficial dermis using the retro-injection, serial puncture, or a combination of the two injection techniques. After the injection, the hyaluronic acid flows into the dermis and holds moisture to add small amounts of volume beneath the skin, which helps support the skin to reduce the look of wrinkles and depressions. Hyaluronic acid can also help support the growth of collagen to improve skin strength and elasticity, act as an antioxidant to protect skin from free radicals that can cause damage and premature aging, and help the skin retain moisture for long-lasting hydration. The filler provides immediate results, then the hyaluronic acid will break down gradually within the body to leave no trace. The results of the treatment should usually last about four to six months, but the filler can help touch up other treatment results to extend their benefits. Side effects of Perfectha Complement are similar to the side effects of other hyaluronic acid dermal fillers. These can include swelling, erythema (redness), discoloration, pain, tenderness, and itching at the injection site. Side effects can also include increased sensitivity. These side effects are usually mild and usually resolve spontaneously within a day or two after the injection. Because the lips are more sensitive, injections in this area may cause side effects that last up to about a week. You should not use Perfectha Complement on people who have severe allergic reactions, who are intolerant or hypersensitive to hyaluronic acid, or who suffer from severe inflammation.